Let’s start with the ending. Superman is not a killer. He cares about human lives. He has taken lives in the comic books before — notably General Zod’s in a terrific John Byrne-created story that puts this movie to shame — but Clark Kent has always valued life, and the decision to execute the supercriminal in the comics took a terrible toll on Kal-El’s psyche for years to follow. But more than that, Clark has always cared about innocent bystanders. He was never one to tolerate “acceptable” levels of collateral damage. The real Superman would never have waged a battle against superpowered foes in the middle of Smallville — and especially not in central Metropolis. Clark should have been worried about the scores of people maimed and killed by his battle with Faora-Ul and the other Kryptonians. The real Superman would have moved those battles to unpopulated areas or even into space, and kept it there to minimize the loss of life. 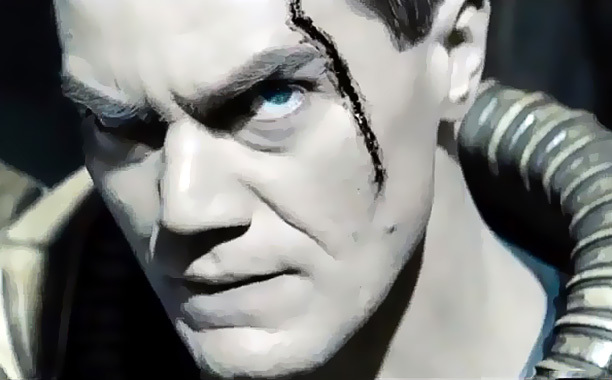 Zod’s stated purpose was to kill Kal, not wreck Smallville, so he would have followed wherever Clark led him. The number of people killed in Metropolis must have been staggering, considering how Kal and Zod used office buildings as weapons against each other, and the shock waves of their battles — not to mention debris — destroyed scores of other structures. This is depraved indifference to human life on a massive scale — hardly the mind-set of a hero. And then there was the more personal moment: Essentially captured by Superman, Zod fires up his new heat vision and slowly — slowly, mind you — begins to direct it toward a family of bystanders too stupid scared to run away. It looks like Clark has to kill Zod or let Zod kill those innocents. We are clearly meant to think of this situation as Superman’s Kobyashi Maru — an unwinnable scenario. Except that this is no Kobyashi Maru. Kal could win here. He should have won. Clark had dozens of options besides killing Zod. As I sat in the theater watching this ridiculous scene unfold, my writer’s mind was anticipating Kal’s clever resolution to the situation. “He’ll probably just cover Zod’s eyes,” I said to myself. Or, since he has a solid grip on Zod, he could fly the general out of the building. 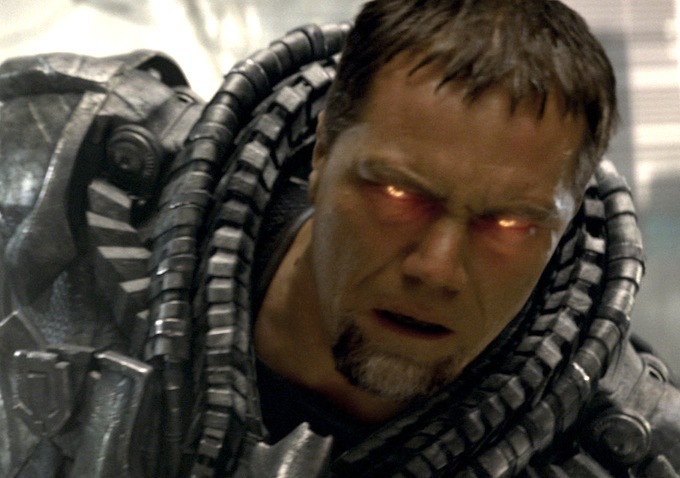 Or use his own heat vision to sear the top of Zod’s head and break his concentration (the baddie was new to using heat-vision). Or use his own heat vision to carve up the ceiling and drop chunks of debris between Zod and his victims to shield them from the deadly beams. Clark could even have used his position to pull backward and snap Zod’s spine — a serious injury, sure, but not certain death. And those were the ideas that popped into my head in a few brief seconds; if I were the scriptwriter, I would have had weeks to vet the scene and make sure it worked. But this scene most definitely did not. Screenwriter David Goyer should be absolutely ashamed of his weak writing here. Ashamed! And here are some other reasons the movie failed. 1. Too much Krypton. 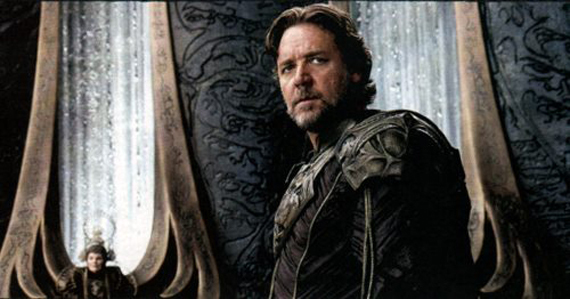 Ever since the 1978 movie, filmmakers have been obsessed with the planet Krypton and its chief scientist, Jor-El. In the movies, Kal-El’s home planet and birth father have been far more prominent than they ever were in the comics. I remember early versions of Superman’s origin dismissed all the Kryptonian elements in single panels, and Pa Kent has always — always — been more important than Jor-El. But not in the movies. I blame the stunt-casting of Marlon Brando in 1978’s Superman — for which he was paid the then-outrageous fee of $3.7 million plus a percentage of the profits for 10 minutes of screen time — for inflating the importance of Jor-El. 2. Bizarro Pa Kent. In this movie, Pa is all about getting Clark to roll with the punches and letting other kids insult him without fighting back — which is all well and good because of his strength — but Pa wants to keep Clark’s light under a bushel no matter what! When Pa suggests that his son should have let an entire school bus full of children drown just to hide his secret, I was left shaking my head. Being raised with values like that, it’s no wonder the adult Clark didn’t care who was killed in his battle with Zod. This upbringing left the adult Kal fearful to reveal himself to Zod because he didn’t want the world to know his secret. Like the world revolves around Kal-El. The real Superman would have sacrificed himself instantly and without reservation. Kal-El would never let others be harmed in his place. At least I can respect that Pa had the courage of his convictions and allowed himself to be killed rather expose Clark’s secret. 3. Superboy? Think about the flashback to Clark’s childhood at the end of the movie. The boy is seen running around with the dog, a makeshift red cape pinned to his shirt as he struck heroic poses, imitating — who? 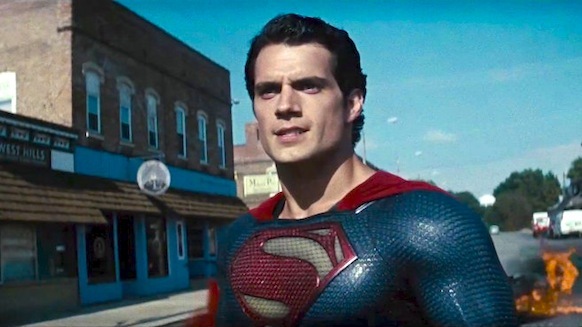 He had yet to become Superman, and there are no other superheroes in the Man of Steel universe, so who was Clark pretending to be? Himself, decades in the future? Was he thinking, “One day, I’ll put on a costume and fly and be a hero!” No, clearly he wasn’t. Because he didn’t grow up to be a hero, let alone a superhero. He grew up to be the selfish man with powers that his father had envisioned; worried only about himself and his mother. Norman Bates with heat vision. Clark Kent did not become Superman; he became Superpsycho. There are also continuity issues (Clark’s hair and beard) and galaxy-sized plot holes (everyone and everything is sent back to the Phantom Zone except Zod?) and all the other little things that usually chip away at most movies, but these are the main reasons why Man of Steel was a crappy Superman movie. This entry was posted in Analysis, Film, Superheroes and tagged Clark Kent, General Zod, Jor-El, Kal-El, Kobyashi Maru, Man of Steel, Marlon Brando, Metropolis, Pa Kent, Smallville, Superman. Bookmark the permalink. ‘Guardians of the Galaxy’ Casting Info — at Last! Best ‘Pacific Rim’ Trailer Yet?